In the National park of the Cévennes, 2 independent gites for 3 and 5 people wait for you in our big house in border of hamlet and dominating the river. Every cottage is conceived as a charming and comfortable family house to get fresh ideas in the nature. Le Clos des Taulelles is composed of 5 gites for 4 people, 1 gite for 6 people, 1 heated indoor pool and 1 jacuzzi. After a day of hiking or mountain biking, you can relax in the jacuzzi or swim in the indoor pool overlooking the olive grove. Gites located between Gard and Ardèche, near Nîmes, Avignon, the Pont du Gard, the Cave of Pont d'Arc, the spa Fumades les Bains ... Near the rivers Cèze and Ardèche. Spend your holidays with family or friends in the Gard, in our cottage La Perriere, located at the entrance of St Martial, a small village in the Cevennes which is part of Unesco World Heritage: the Causses and the Cevennes. Our gite is a village house renovated and done up comfortably on three levels, a big terrace very sunny with awning, a garden cévenol with swing and slide, garage. 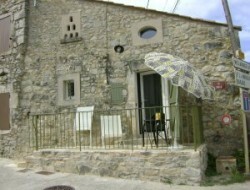 Holiday cottage situated between The Pont du Gard and The Cave Chauvet, in 15mn from Méjannes le Clap, in 20mn from Uzès. On the municipality of Lussan in the hamlet of Malataverne, we propose you our studio of 33m², fitted out tastefully, very good bedding. Renting an independent villa completely renovated in late 2018 for 6 people. 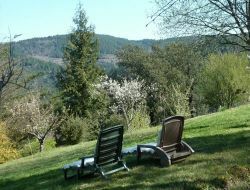 It is located in a quiet village near Nîmes on a fenced plot of 1000m ² with paragliding very close. 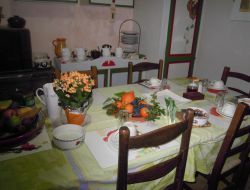 Holiday cottage in the entry of the village with a view of the Mont Lozère surrounded with greenery, with balcony and barbecue, garden, car park. Bright holiday cottage compound of 2 bedrooms. Chamborigaud, is a quiet village at the foot of the mont Lozère in the middle of sweet chestnut trees, rivers and waterfalls just a step from the park of the Cévennes with strolls and extraordinary sites. The charm of a vast family house in the sun, endowed with all the comfort, in the peace of the Provençal countryside. 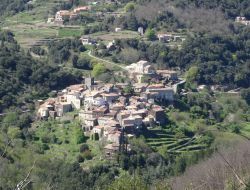 Holiday home of big capacity ideally situated, in a hamlet in the Provençal Gard, close to gorges de la Cèze, in the borders of the Gard, to the Drôme, to the Ardèche and to Vaucluse. 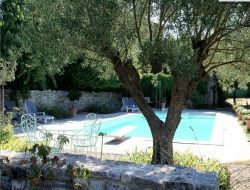 Holiday rental with private swimming pool near Nimes, Arles, Avignon, Les Alpilles, Uzès, Le Pont du Gard, La Camargue, ideally located to visit the region or to spend a peaceful holiday in Gard. The house is very well equipped, in the shade of a large pine tree, in a calm, green and enclosed ground. 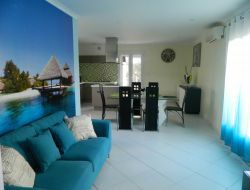 Between Provence and Languedoc, villa very big comfort, completely equipped and air-conditioned with swimming pool. Very quiet place close to big tourist centres (Pont du Gard, Avignon, the Camargue etc). In an authentic Cévennes house overhanging the Hérault river where you can bathe in five minutes by walkt, either go hiking on our paths, holiday cottage for eight people, any comfort, terrace, barbecue. In a relax and peaceful environment, the gite, carefully renovated, allows each to have its corner of intimacy due to its installation on three levels and spacious bedrooms.